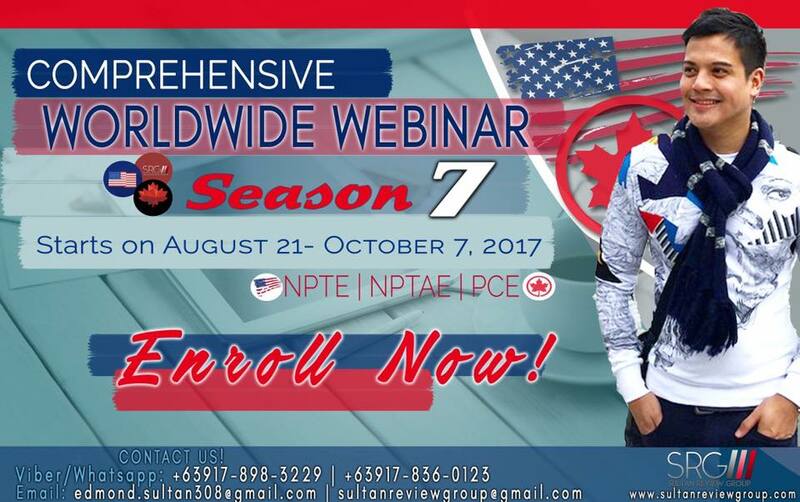 Season 7 of the Comprehensive Worldwide Webinar is now open for enrollment! The most anticipated, most sought after Webinar review will open its seventh season this August 21. Experience the most comprehensive, most innovative and result oriented review program. Reserve your slots now. Previous Entry:E-learning 1-on-1 is open for enrollees! Next Entry:Intensive Worldwide Webinar Review for PCE, NPTE, and NPTAE!